President's meeting with Sergei Zhvachkin. 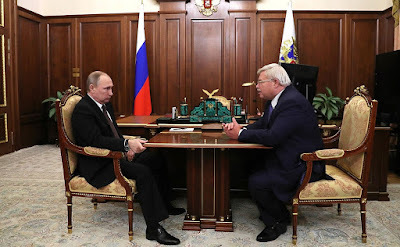 Putin.BLOG Regions Tomsk President's meeting with Sergei Zhvachkin. Sergei Zhvachkin updated the President on the socioeconomic situation in the region. According to the Governor, gross regional product (GRP) has grown by 30 percent to reach 500 billion rubles, while high technology products accounted for 15 percent of the GRP. Sibur has overhauled its polymer producing subsidiary Tomskneftekhim, which has become a competitive company. Rosatom is implementing its Proryv (Breakthrough) project in the region, which provides for building a BREST-OD-300 fast neutron reactor. Tomsk Region Governor Sergei Zhvachkin. The Governor also said that yearend growth in the timber industry reached 170 percent and that new plants have been built. Housing construction and agricultural production are growing rapidly. Over the past four years, agricultural producers bought more than 900 units of agricultural machinery. Other support measures include interest rate rebates and farming grants. New companies have appeared which sell local wild plants, mushrooms and berries. Taxes levied on these products amounted to 700 million rubles last year. The social sector is developing, with a new haemodialysis centre and a radiological canyon now open to the public at the Tomsk Oncology Centre, and many other projects completed. Speaking about demographics, the Governor said that the region’s population had increased by 25,000 over the past few years thanks to a high birth rate. In this connection, 30 new kindergartens have opened in the past two and a half years and there are plans to build new schools. As for problems, the Governor mentioned the shortage of workforce and lots of snow this winter, adding that the region is already preparing for possible floods. The Governor also said that he had requested government assistance to deal with the problem of the Siberian moth, which is damaging local forests. Since his term ends on March 17, Mr Zhvachkin asked the President to appoint him Acting Governor so that he can run for re-election in September 2017. 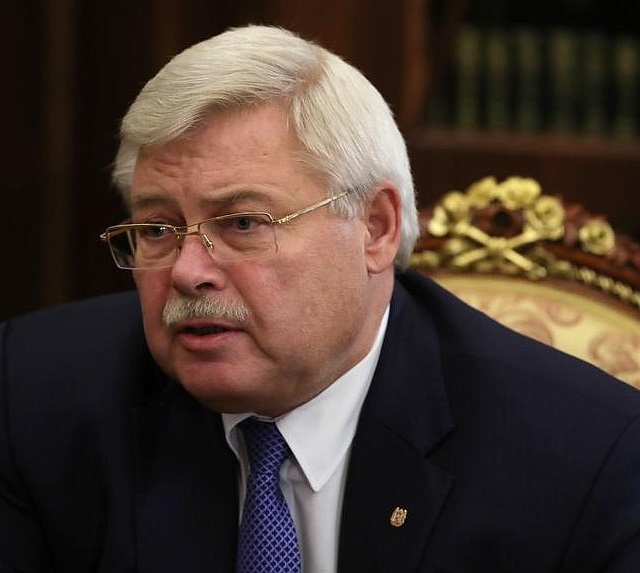 Vladimir Putin thanked the Governor’s team for the good work and said he would sign an executive order appointing Mr. Zhvachkin Acting Governor of Tomsk Region. Vladimir Putin with Tomsk Region Governor Sergei Zhvachkin. 0 Comment to "President's meeting with Sergei Zhvachkin."